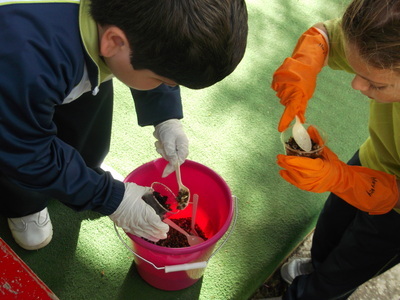 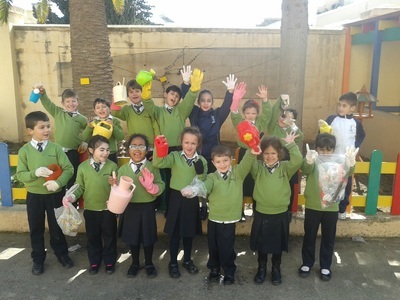 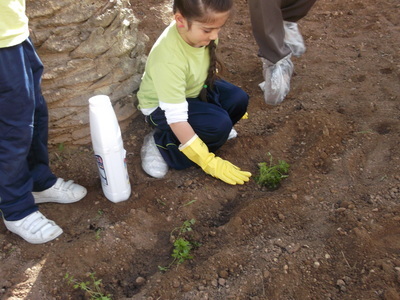 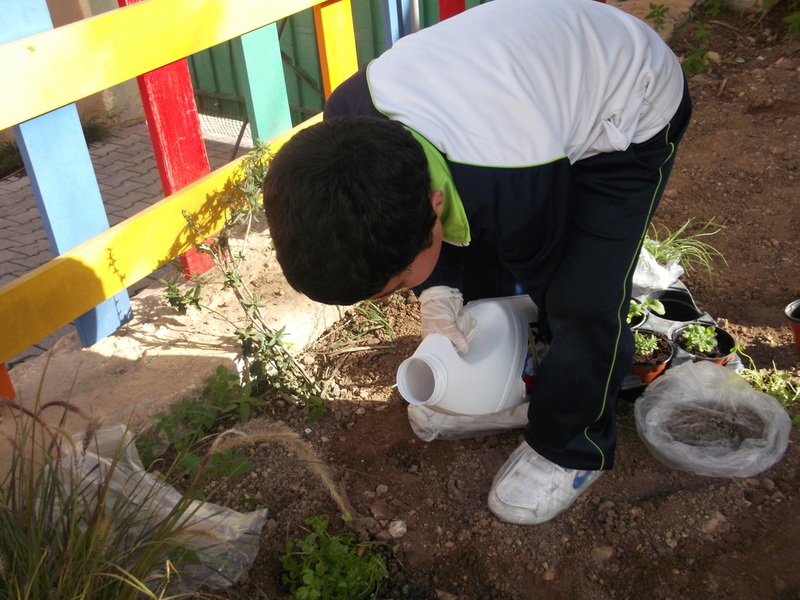 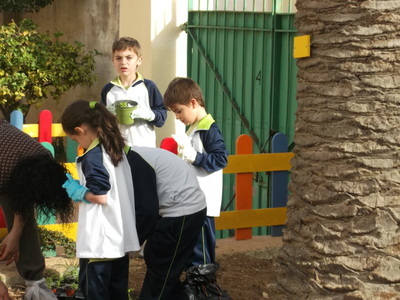 This Scholastic year, again, classes are taking turns in gardening sessions at our organic garden. 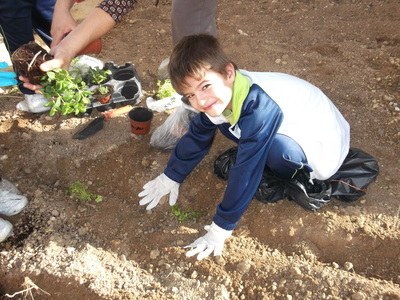 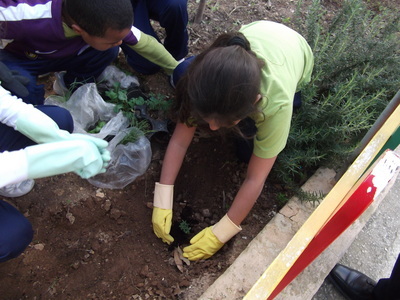 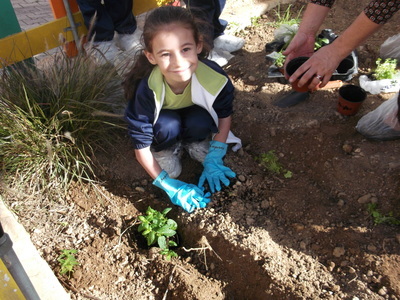 Herbs and crops were planted by several students during these sessions. 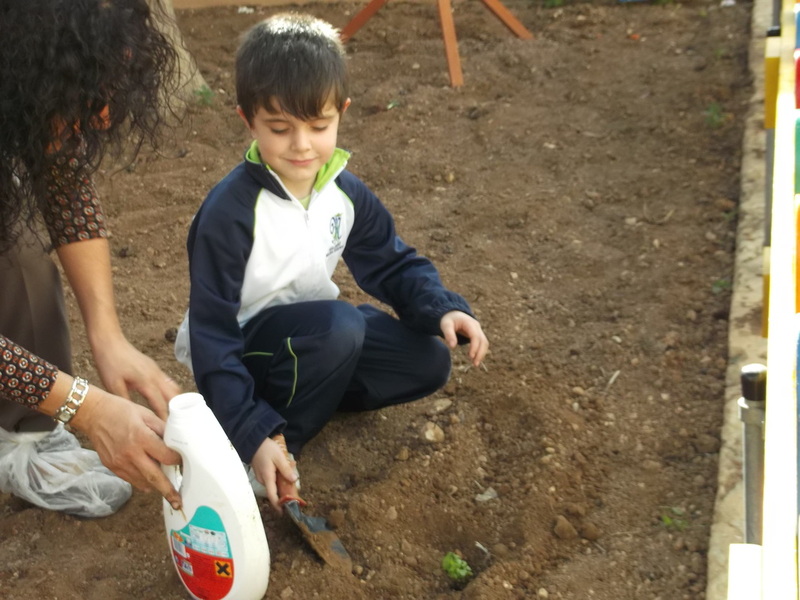 Taking care of our organic garden! 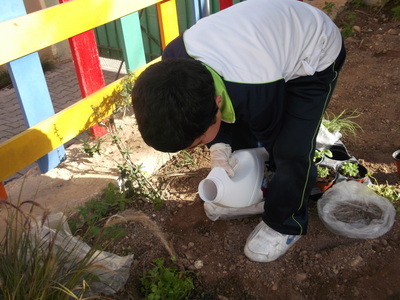 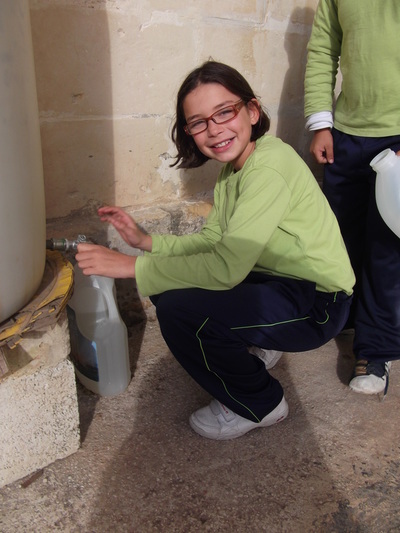 All students took turns to plant and to water the crops on a regular basis. 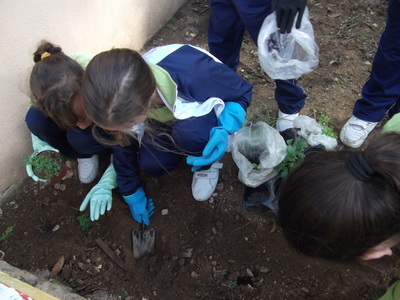 Different types of plants were grown, such as fennel, broccoli and broad beans. 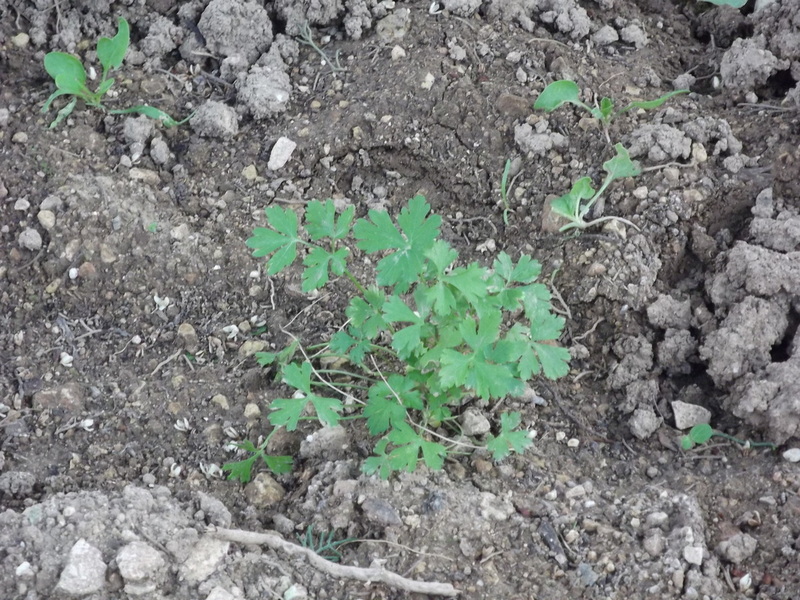 Broccoli, parsley and thyme are some of the vegetables that are grown in our garden. 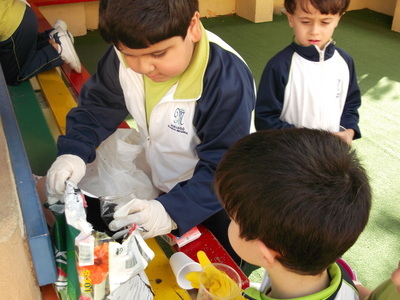 These were used by the EcoSchool children’s committee to make a delicious broccoli quiche. 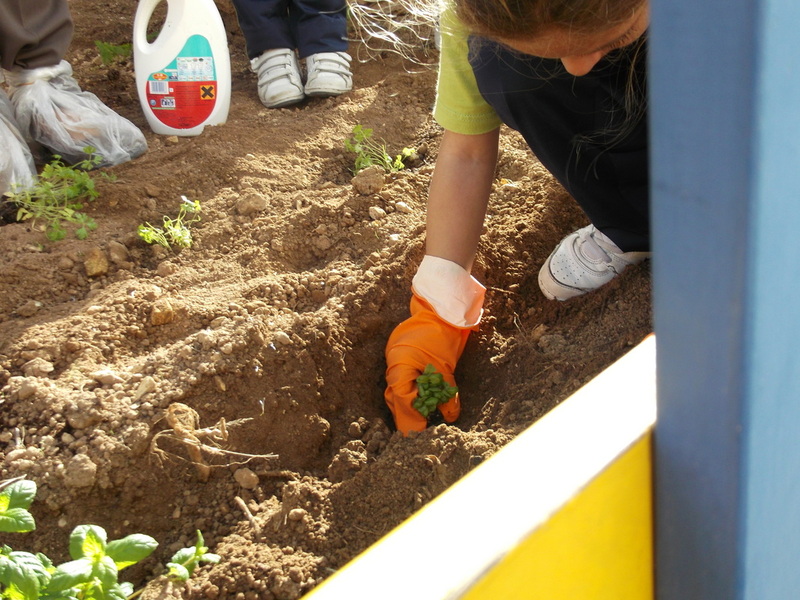 A variety of crops are found in our school garden such as broccoli, lettuce, cabbage, cauliflower, endive and fennel, of which some were used for cooking. 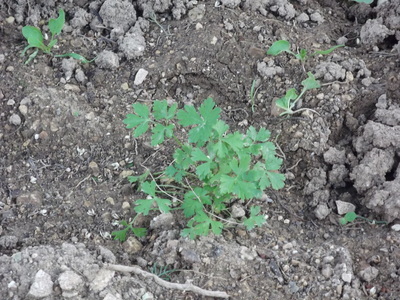 On one side of the garden we are growing ten types of herbs; parsley, thyme, sage, rosemary, celery, marjoram, oregano, curry, coriander and mint. The children made a tasty salad from the first produce of the school garden. The vegetables used were endive, lettuce, celery and mint.